Whether the kids are all-terrain explorers or leaf jumpers, we've got their feet covered. Kids grow in the blink of an eye, and chances are, the winter boots and fall shoes that fit them perfectly last year won't even be able to squeeze onto their feet this year. 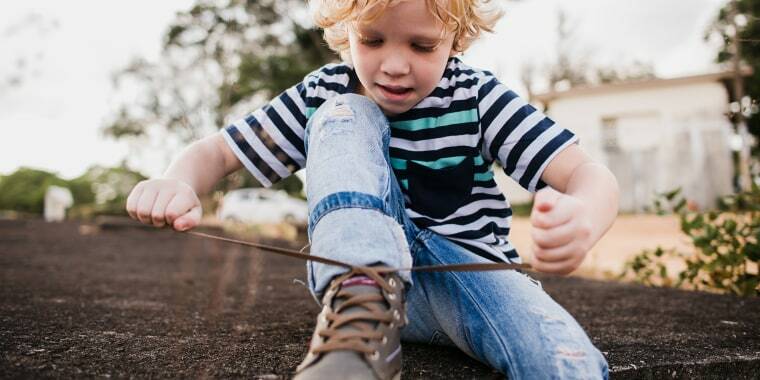 With all the cute styles and colors, shoe shopping may sound fun, but finding kids' shoes for sale that won't pinch or become uncomfortable while playing in the leaves is harder than it sounds. Find shoes made of leather, mesh or synthetic material for sturdiness and/or good ventilation. Look for shoes with a good grip around the back upper portion of the foot. Choose a thicker outsole because it's the first thing to hit the ground and can help protect the feet from hard play. "A walking shoe should be, first and foremost, comfortable because you’ll be spending prolonged periods of time in them," Los Angeles-based podiatrist Samira Mehrizi said. 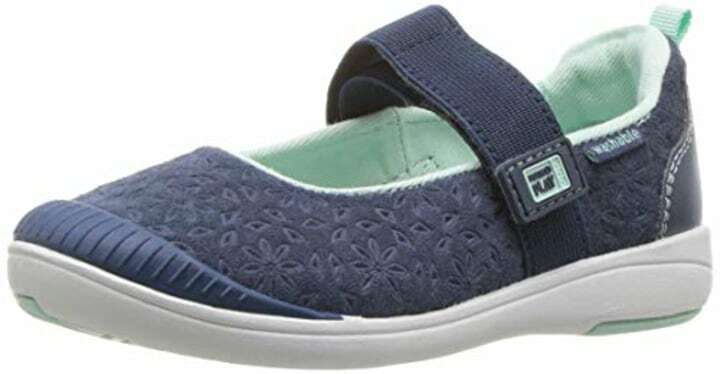 "A roomy and round toe box helps prevent calluses and pressure to the toenails." These are our favorite seasonal, budget-friendly kids' shoes for girls and boys, based on podiatrist guidelines. For the runner who also likes a little sparkle, these sneakers are sure to make a fashion statement. The synthetic materials and mesh make for good breathability and the thick outsoles give little ones traction. Also available for $40 at Zappos. 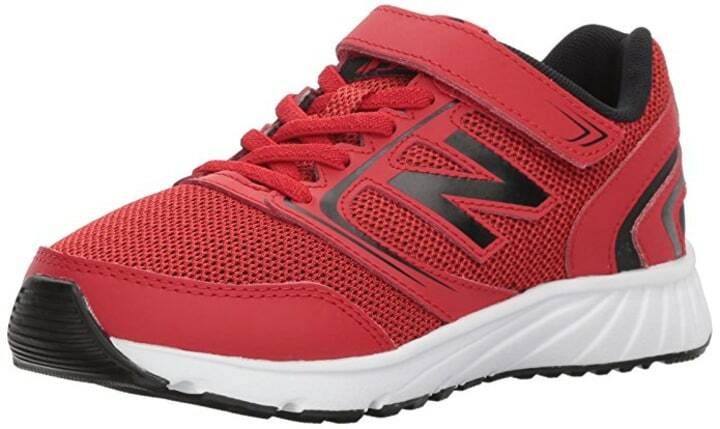 Available in seven colors, including these snazzy red ones, New Balance is known for making reliable kids' sneakers. "They fit perfectly and there is no need for breaking in. They are super comfortable. The rubber front is great as my kids tend to tear that area up in no time if they were just mesh covered fabric," said one reviewer. 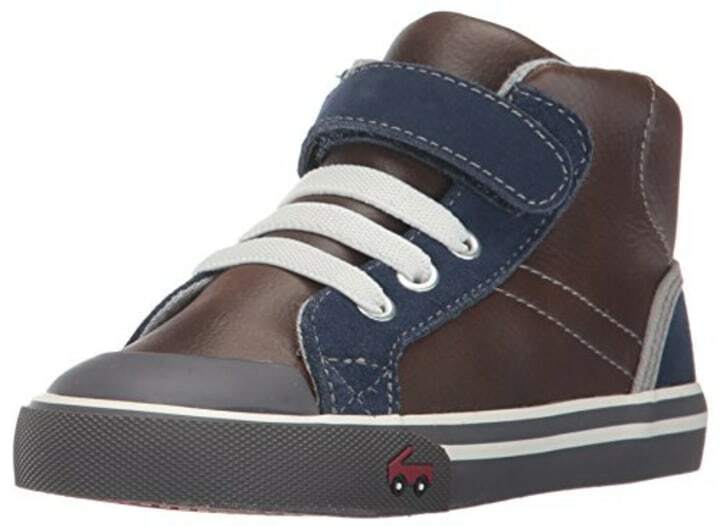 Another shared, "The shoes don't require tying of the laces which is a big plus for my son." 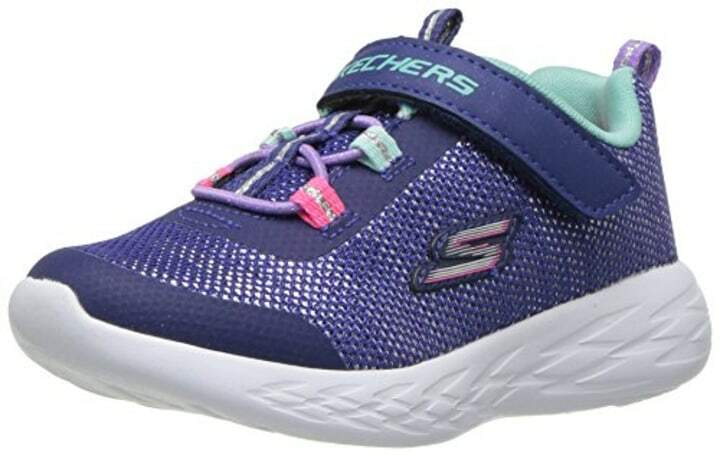 Also available at Stride Rite (select sneakers are on sale on Stride Rite right now with code KICKS25). These leather flats are functional and stylish. The elastic band and high heel area keep feet in place while the rubber outsole and memory foam insole enhance comfort. The rubber band at the front prevents delicate toes from getting bumped through the fabric. Plus, they're completely machine washable — a must for parents with kids who love playing outside. We love these canvas kicks by Toms for warmer fall days. The elasticized top makes them easy to slip on and off. And, they feature a breathable cloth lining and durable rubber sole. Even after two full seasons, there were no blisters in sight, even with no socks. Toms also donates one pair of shoes to a child for every pair purchased. And, the neutral look makes them easy to pass down to younger siblings. Also available for $45-$48 at Nordstrom. With an outsole made from flexible rubber and a body made from leather, these are built for play and can be easily dressed up or down to match any outfit. Kids have room to move inside so their growing feet don't get too cramped. As an American Podiatric Medical Association-approved brand, See Kai Run notes on their site that they change the engineering of their shoes as the sizes go up so that they keep up with the stages of rapidly growing feet and help with healthy foot development. Also available for $80 at Nordstrom. 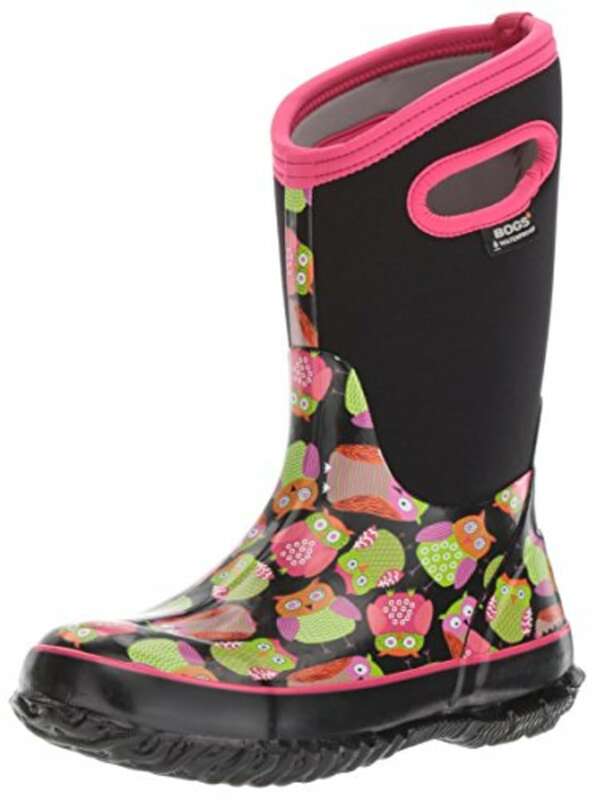 Parents love these boots because they're warm, hold up well in rain and snow, aren't too heavy and kids can put them on themselves using the built in handles. One reviewer on Nordstrom commented "My family loves these boots! We all have them. They are great in the snow or just splashing in puddles. They are nicely insulated and I love how they clean up easily. Perfect boot for a little boy who likes to get dirty!"